I draw near you in the present moment. Seek to enjoy My Presence in the present; trust and thankfulness are your best allies in this quest. When you wallow in the past or worry about the future, your awareness of Me grows dim. But the more you trust Me, the more fully you can live in the present, where My Presence awaits you always. 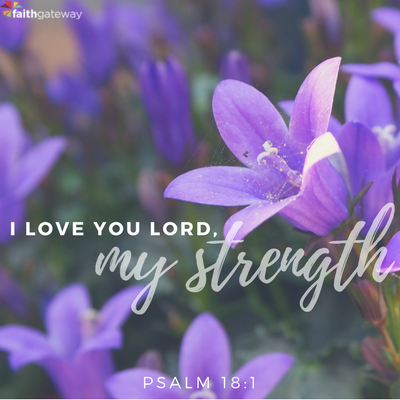 Speak to Me frequently: “I trust You, Jesus.” “I love You, O Lord, my strength.” These short prayers keep you close to Me — confident that I’m lovingly watching over you. It’s important for you to grow not only more trusting but more thankful. A grateful attitude is essential for living near Me. Ingratitude is offensive to Me, and it drags you down both spiritually and emotionally. Remember that you are receiving a kingdom that cannot be shaken — no matter what is happening in your life or in the world. This means that you have a constant, unshakable reason to be thankful. Stay anchored to Me and enjoy My Presence by giving thanks in all circumstances. You overwhelmingly conquer through Me, the King of Glory who loves you. No matter what is happening in this fractured, fallen world or in your own life, you are victorious. I won the Victory once for all time through My sacrificial death and miraculous resurrection. My unfailing Love has accomplished this wondrous conquest and made you much, much more than a conqueror. You’re an heir of the kingdom of eternal Life and Light! Nothing will be able to separate you from My Love! Ponder what it means to have Me as the Lover of your soul every moment, forever and ever. Your soul is the eternal part of you, the part that can never be separated from Me. It is not what you see in the mirror or what other people reflect back to you. It is the essence of who you are — the “real you” that is being transformed from Glory to Glory. Therefore, do not be discouraged by the defects you see in yourself. Instead, remember that you are continually being transformed into My image — and rejoice! 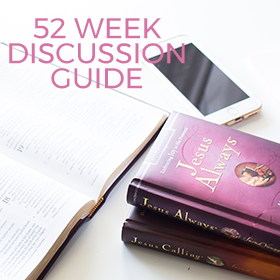 Excerpted with permission from Jesus Always by Sarah Young, copyright Thomas Nelson. 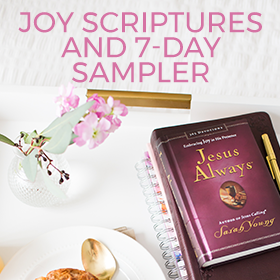 A printable sheet with Scripture about joy, a 7-day reading plan sampler from Jesus Always, and a year-long discussion guide for Jesus Always.